Turn gas and electrical service off before servicing unit. Inspect the flue pipe and vent cap for holes or blockage. Make sure all joints are tight. Check draft diverter opening in the top of the heater for blockage. Inspect exterior of heat exchanger for holes and cracks. Unscrew bottom pan, hinge down and remove. Remove pilot assembly. Unscrew burner rack retaining plate and alignment guide. Hinge down burners. Inspect burners for blockage: insect nests, rust build-up, webs, cocoons. Check burner and pilot orifices for blockages from insect nests. Inspect all wiring for cracked insulation and loose connections. Replace all cracked or worn wiring. Clean out all blockages with compressed air or soft bristled brush. Be careful not to damage burner or orifice openings. Do not use sharp, hard or rough tools for this cleaning. Reattach retaining plate and alignment guide. Reattach pilot and bottom pan. Blow or wipe dust and dirt off of fan blades and motor. Turn on gas and electrical service. Check for gas leaks at joints with liquid soap. If bubbles are found, tighten gas connections and test again with liquid soap. Continue until no bubbles appear. Make sure pilot light is working. Adjust thermostat to start heater. Allow heater to run through a complete cycle to check normal operation of burners, fans, venting and shutdown. If a problem occurs, refer to the trouble-shooting guide in the installation form shipped with your heater. 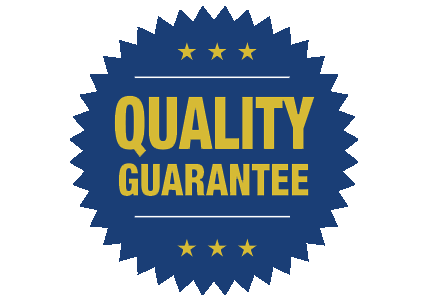 Repairs should be made only by qualified service personnel.